Amongst the younger generation of Irish musicians playing Sliabh Luachra music, one stands head and shoulders above the rest: Bryan O’Leary. Bryan is in his early twenties and comes from Tureencahill, in the heart of Sliabh Luachra. His grandfather was the great accordionist Johnny O’Leary. 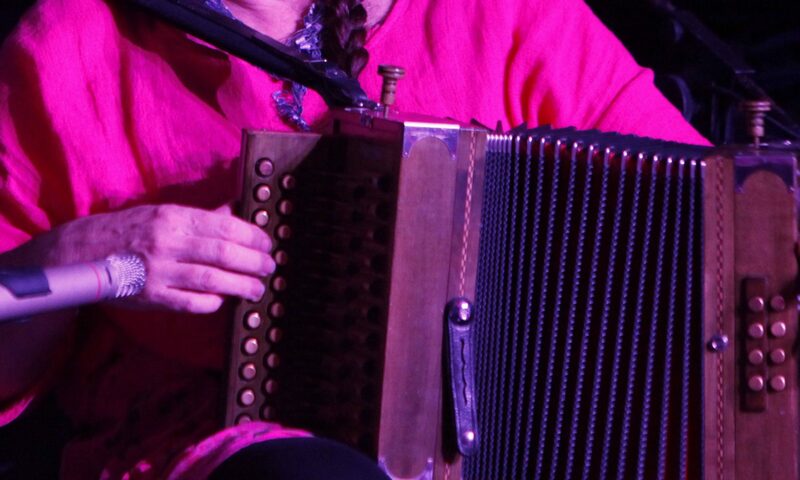 Bryan started to learn the accordion shortly after his grandfather had passed away and his music is imbued with the same wild spirit, tempered with an extraordinary attention to detail that brings a unique style to his music. He has been influenced by Julia Clifford’s playing and in the past few years, has also enjoyed sharing and playing music with Julia’s son Billy Clifford, thus extending into another generation the musical links between the O’Leary and Clifford families. In 2014, Bryan won the prestigious TG4 Young Musician of the Year award. 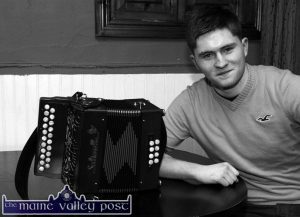 He has played both solo and in groups at many festivals in Ireland, and having recently completed his studies in Irish Music at the University of Limerick, is now performing further afield. English readers may recall his outstanding performances with concertina player Jack Talty at Sidmouth Folk Festival in 2017. I like to keep this website up-to-date, so do pop back another time. Thanks for dropping by!